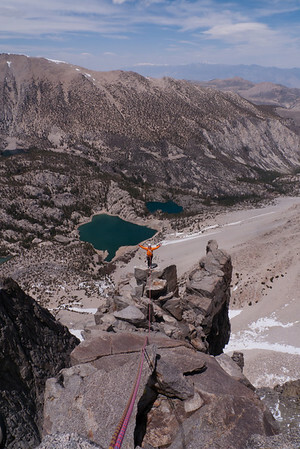 Synopsis: Upon returning to our camp at Third Lake after climbing Venusian Blind Arête, we settled in for yet another 4 AM wake-up to go climb Moon Goddess Arête the following day. That night the winds were picking up pretty strongly, clouds were increasing and the temperature dropped pretty significantly. 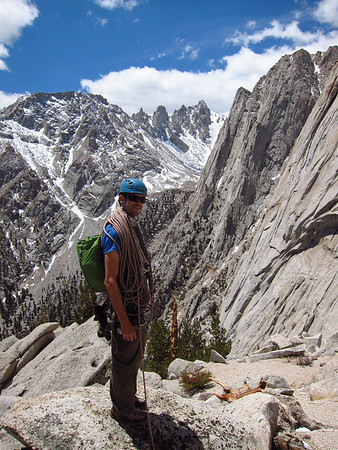 Synopsis: After climbing the Direct South Face of Lone Pine Peak, Jon and I headed back the next morning to try and get permits for the North Fork of Big Pine Creek. 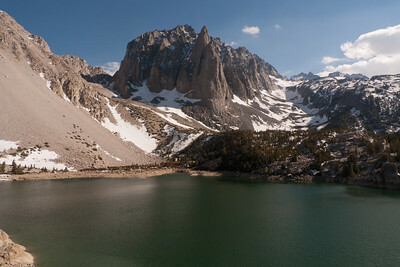 Our initial soft plans going in were to hike in that Monday and set up a camp by Second or Third Lake, and climb Venusian Blind Arête on Tuesday, followed by Moon Goddess Arête on Wednesday (both of which we ended up doing). 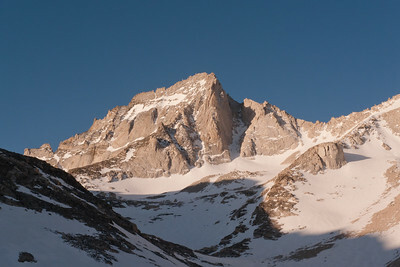 We then tentatively planned to move camp up beyond Sam Mack Meadows to the Palisade Glacier, with a potential objective of climbing Starlight Buttress on Starlight Peak. More on that later.